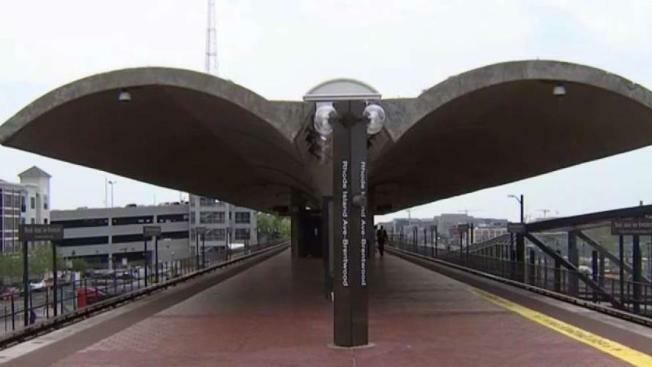 Crews' failure to inspect parts of Metro's Rhode Island Avenue station and the apparent copying and pasting of language from old inspection reports led to a steel beam and pieces of concrete to fall from the ceiling in 2016, according to a Metro inspector general report. Metro announced in February the station will be shut down for 45 days of repairs this summer as a result. The Metro Board accepted the new inspector general report that says over a period of three years crews skipped inspections of hard-to-reach areas. In some cases, they apparently used inspection results for prior years at the Rhode Island Avenue station. The falling debris caused the closure of the station for temporary repairs in 2016. The 45-day closure of the Rhode Island Avenue station will allow crews to complete structural repairs. A year ago, Metro fired a third of its track inspectors for falsifying safety records. The agency has developed new procedures and a structural inspection manual. The Rhode Island Avenue station will close July 21, after the city hosts Major League Baseball All-Star Week, and will remain closed through Labor Day. Metro riders said the closure will cause major inconveniences.